Loigica, P.A. is a team of hardworking attorneys who specialize in immigration, business, and intellectual property law. At the time of initial engagement in 2015, Loigica had an outdated website that had been hacked several times and was generating very little business. After the initial consultation, Loigica decided to engage Rizen for a secure website redesign as well as PPC campaign development and management. Rizen followed the Inbound approach to Design and PPC. We outlined the buyer personas and determined the buying stages for the visitors of the site. 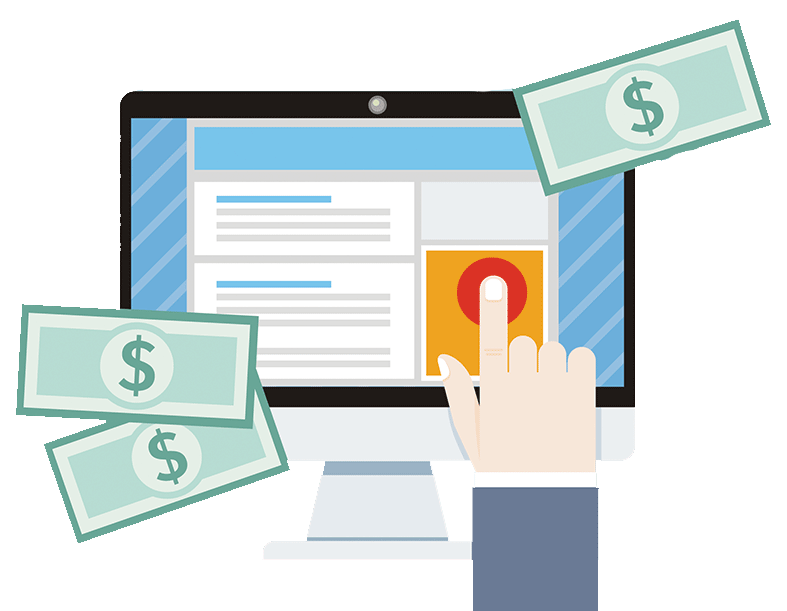 This allowed for the design and the PPC ads to be specifically targeted towards getting the most conversions. Number of leads In 2015. Loigica invested $4150 and in just 35 days received $20,990 in new revenue. Number of leads in 2016-2017. Loigica invested $20K and in just 1 year generated $80,000 and still growing. Currently generating 140 leads per month at an average cost of $15 per lead for Green Card, L1, E2, and H1B Visas, Deportation Defense, and more! LeadIn by HubSpot immediately started providing a picture on traffic sources, keywords and referral websites. Loigica was documenting and tracking leads on paper and Excel. Through the implementation of the Hubspot CRM, they are more organized and started the process of creating close loop reporting. Rizen created automated follow-up sequences to reduce the time spent working per lead and increase conversions. Rizen also provided the training and support needed to implement best practices for sales and systems to help them continue to grow. In 2017, they are using custom reporting features to see revenue generated by salesperson, revenue year to date, revenue by lead source and more. The website is continuously being updated using the Growth Driven Design methodology. DDOS Protections and special Fire Walls were installed to ensure that the site is not hacked again. Loigica had a message they wanted to communicate and Rizen helped them by creating and implementing a social messaging strategy in 2017 using PR / Inbound methodologies. The result is a growing fan base and a targeted messaging strategy. 900% increase in Traffic. 422% in Clicks. 580% Increase in Interactions. Loigica realized the value of ranking for keywords and committing resources to a content creation strategy. In 2017 Rizen helped Loigica create a content strategy targeting their buyer personas. Rizen is also getting guest blog opportunities for Loigica to generate white hat Inbound links and traffic. Organic leads has the lowest cost per acquisition based on studies done vs PPC and other mediums. In 2015, Loigica was not properly following up with leads and Rizen created a fast email marketing campaign following up with leads not closed using MailChimp. In 2016, Loigica realized that they needed a better way to communicate with their incoming leads, so they moved to Hubspot Marketing to create lists, email their database and track how they were interacting with all marketing activities. With the CRM, they are leveraging the platform to solicit reviews to increase their reputation and showcase their work. › In 2015, a Pay Per Click strategy was implemented on Google Adwords that instantly started generating customer leads. › Call Tracking / Conversion Tracking through Google was implemented to help optimize the bid process. › Remarketing text and image ads were implemented. › Call only campaigns were setup to generate phone calls. › Many custom landing pages were developed using best practices. › In 2016, all incoming call leads were being tracked and managed through Hubspot via an integration with Call Rail. No more missed leads, every call was accounted for. › Also implemented in 2017 was a paid strategy to target buyer personas within Facebook and LinkedIn. By honing in on Loigica’s target audience, Loigica has significantly grown their practice and leads year over year with Rizen’s help. › Pay Per Click strategy was implemented on Google Adwords that instantly started generating customer leads. › Call Tracking / Conversion Tracking through Google was implemented to help optimize the bid process. Remarketing text and image ads were implemented. Call only campaigns were setup to generate phone calls. By implement many elements of an Inbound Marketing strategy, Loigica was able to generate 67 leads and $21,000 in revenue in just 37 days in 2015 - 2016. In 2016 - 2017, they added 300 more leads at a cost of $20,000 with revenues of $53,000 and still growing. Currently, Loigica is generating over 140 leads per month and is growing at a fast pace. Loigica is becoming more efficient at managing their leads, increasing conversion rates, and scaling their delivery of services using Hubspot Sales, Hubspot Marketing CRM, and the EOS® system on their firm. Through consulting and incredibly fast results, Loigica is changing their Marketing approach to include Inbound. The entire organization is on board with Rizen and is growing at fast and sustainable rate. Marketing is now more clear for Loigica. Find out how your business can align with inbound.